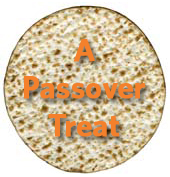 The Passover celebration lasts seven days (eight days, outside of Israel. For more information as to why, please click here). The first day (and second, outside of Israel) is a Yom Tov, festival day, on which the seder is celebrated. However, the Torah also explicitly commands “and in the seventh day there shall be a holy convocation to you” (Exodus 12:16). The Seventh Day of Passover (and eighth, outside of Israel) is the only Jewish festival that is distinctly not distinct. This is most noticeable by the fact that on every other Yom Tov (festival day), the special Sheh’heh’cheh’yanu blessing, which praises God for keeping us alive and allowing us to celebrate the holiday again this year, is recited either when one lights candles or following the recitation of kiddush (the blessing of sanctification over wine/grape juice). The simplest explanation that Sheh'heh'cheh'yanu is not recited on the Seventh Day is that the offerings of the day were no different than those on the interim days of Passover. However, it should also be noted that the Seventh Day marks the anniversary of the crossing of the Sea of Reeds, an event that was already praised during the seder. After Moses led the Israelites out of Egypt, he followed God’s directions “that they turn and encamp before Pi-Ha'chirot, between Migdol and the sea, over against Baal-Zephon: you shall encamp before the sea” (Exodus 14:2). By the time they encamped before the sea, Pharoah had changed his mind about freeing the Israelite slaves and led his army after them. At the moment of greatest peril, Moses stretched his staff over the waters, and God sent a strong east wind to split the sea, enabling the Israelites to cross on dry land. When the Egyptians tried to follow them, the watery walls crashed down upon them and the entire Egyptian army drowned. Since the entire holiday is a celebration of redemption, the story is not retold again in any grand ceremony on the Seventh Day. But, because of its importance, God gave His people the gift of an extra day of Yom Tov and elevated the day in commemoration of that glorious event. The additional festival day acknowledges that seven days after they left Egypt, the Israelites were once again miraculously redeemed and that the entire Passover holiday is a time of redemption. This Treat was last posted on April 20, 2014.